All packages purchased online must be paid for in full with a VISA or MASTERCARD. Any accounts with outstanding balances will not be able to book online until the balance owing has been paid in full. All packages purchased (private / personal and/or blade training) are non-refundable and non-transferable. RHP Training Centre Inc. reserves the right to limit and/or change the class size at any time during the registration process. RHP Training Centre Inc. also reserves the right to cancel and refund any client’s registration at the discretion of management. The right is also reserved for RHP Training Centre Inc. to reassign students if we feel the choice of program is not appropriate for their development. The program adjustment is made with the student’s best interest in mind. If a program adjustment is recommended, the individual registrant(s) will be contacted directly. Since fees are established based upon group size and spaces are limited, payments will not be refunded but a credit will be put on a client’s account if applicable. All credits are subject to a minimum $50.00 administrative fee. All cancellation requests must be received in writing via email to info@rhptraining.com for consideration. 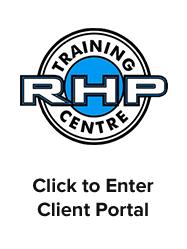 RHP Training Centre Inc. does not guarantee that messages left on the voice-mail or email system will be received prior to these time lines and it is up to the individual clients to ensure that the sessions have been properly cancelled or rescheduled. Clients may do this using the online Client Portal at anytime prior to the 48 hour rule. It is the client’s responsibility to find partners for semi-private sessions or they will be responsible to cover the cost of a 1-on-1 private session upgrade. Year long contracts will not be subject to cancellation and refund policies as outlined in the individual specific contracts.